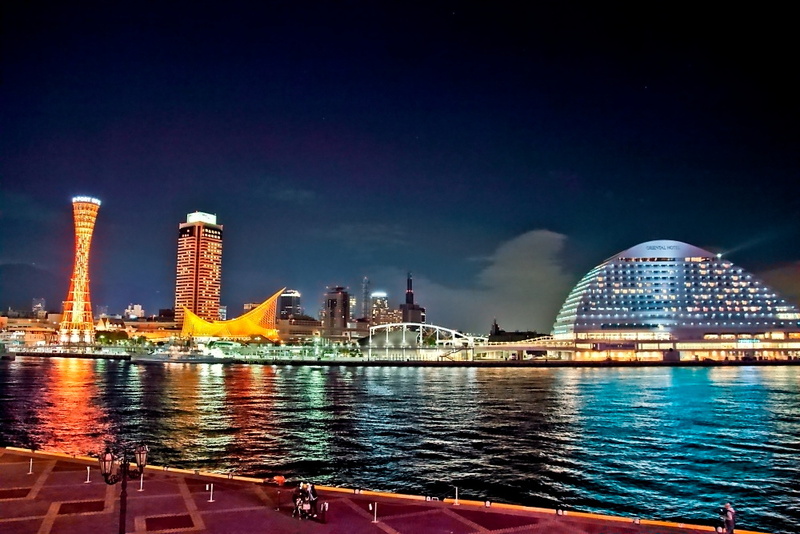 The “center pier” which bears a role of the front door of an international harbor city of Kobe. The crimson tower, which looks beautiful in the green of Mt. Rokko and the blue of the sea and sky, stands there. 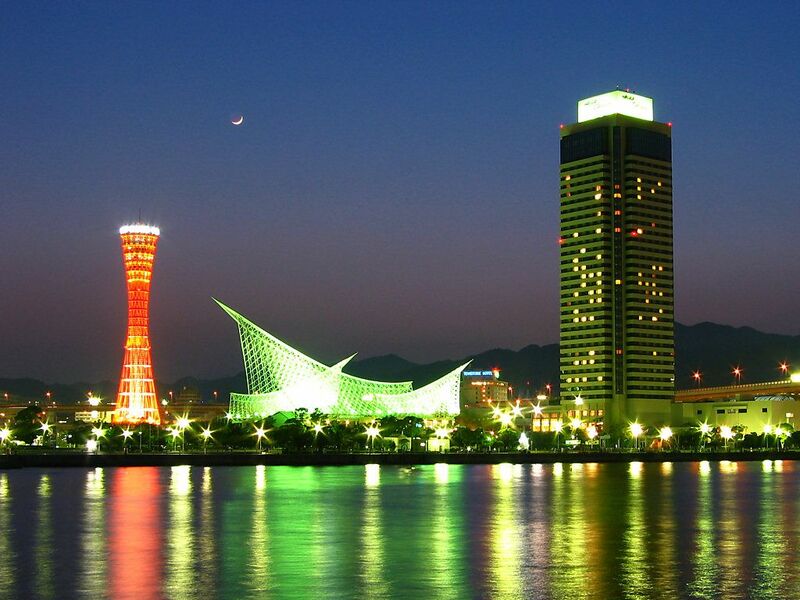 The “Kobe Port Tower”, landmark of Kobe. The beautiful appearance of the shape of warping drum is having peculiar pipe structure used first in the world. Daytime is the “red” rising up, and it is lighted up with 7,040 LED lights at night. 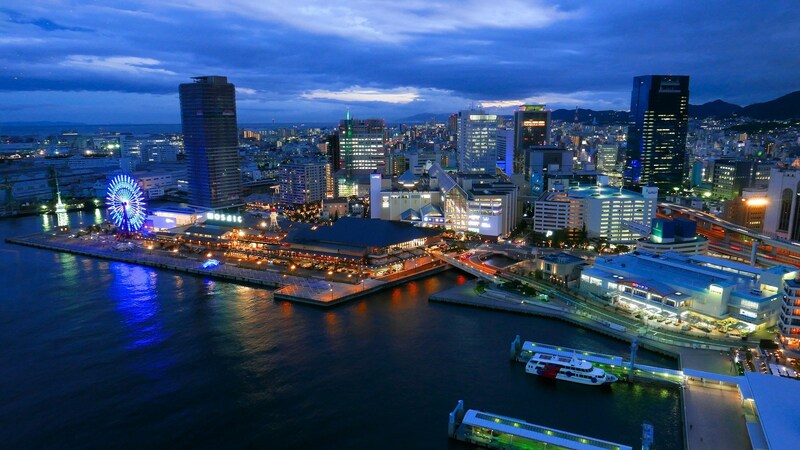 From the observation room of the highest floor, the Kobe harbor, the city area, and the large panorama of the Mt. Rokko system can be viewed. There is the teahouse rotated 360 degrees in 20 minutes in the third floor, and in the fifth floor, the constellation of the four seasons by an optical fiber is displayed on the ceiling. 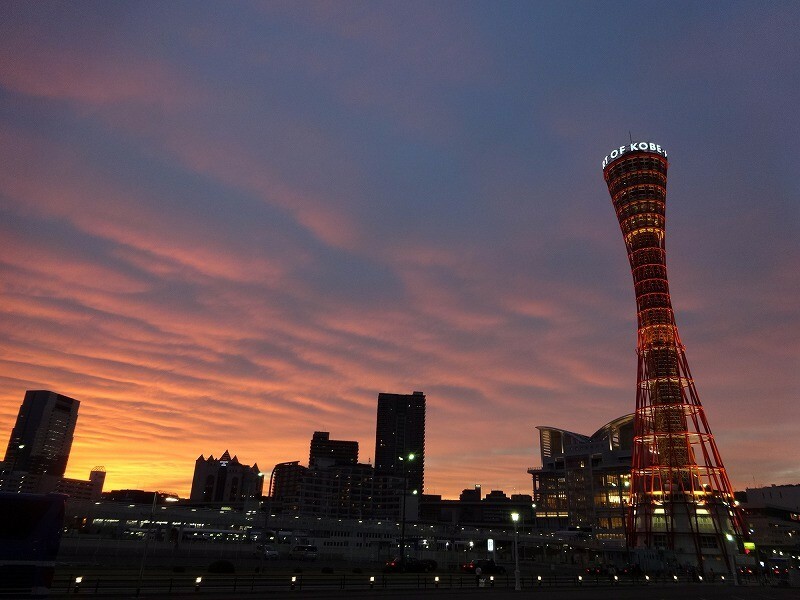 The crimson Port Tower is 108 meters in height. 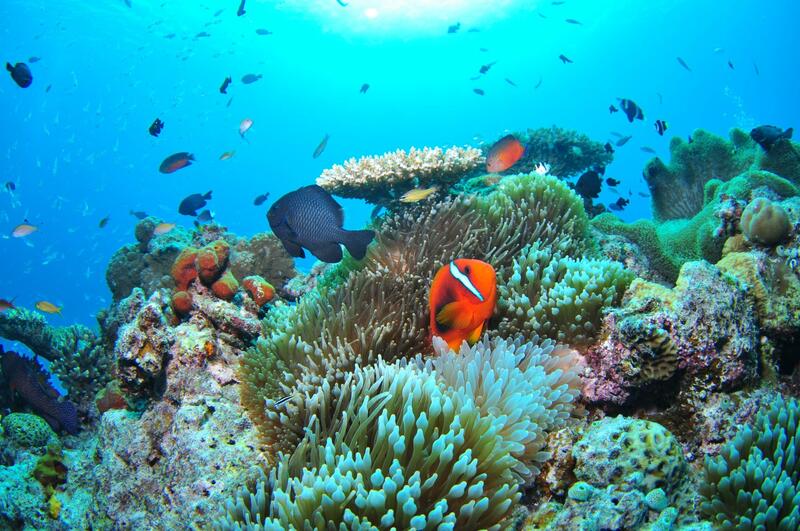 It is known for the unique form which is not seen in the world. 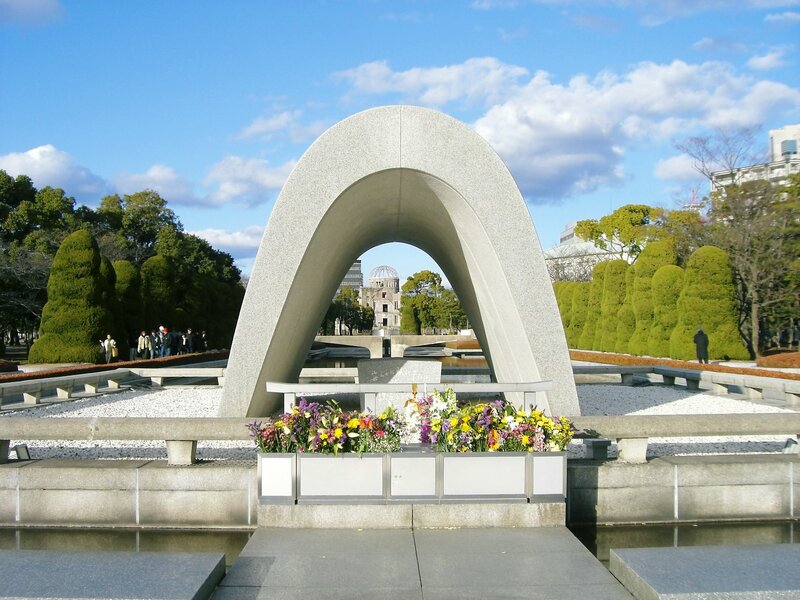 The Osaka Bay and Awaji-shima island can be viewed from the observation room which can be overlooked 360 degrees. Moreover, the night view of 10 million dollars spreads at night. The pipe steel tube knit in the shape of a basket seems to be twisted as it goes to the upper part. 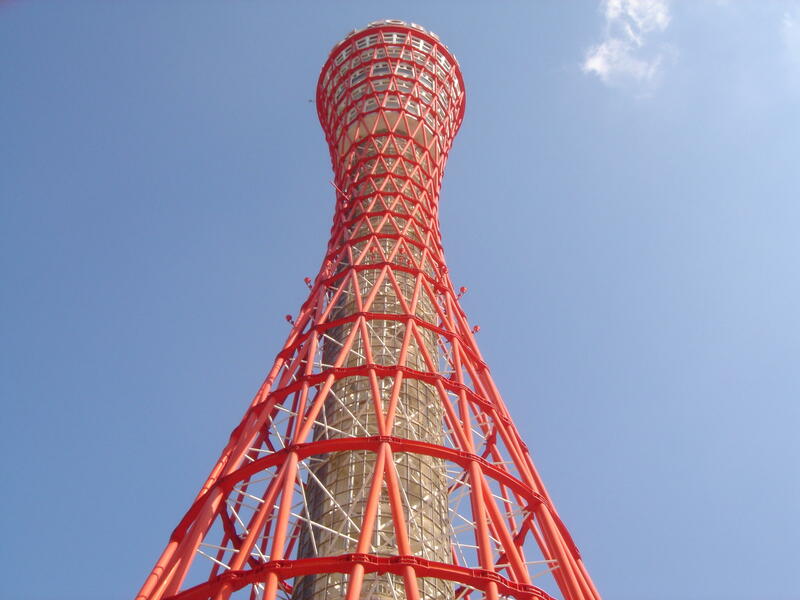 However, each 32 pipes, which is extending to the slanting upper part in a straight line, are crossing in the constriction part of the tower, and show the gently-sloping form. When the Kobe mayor at the time inspected Rotterdam Port, Netherlands, he looked at the tower which could overlook there port and seemed to wish to build an attractive tower in Kobe. And in 1962, the construction started as commemoration of the 90th anniversary of opening of the port of the Kobe harbor, and business was started in 1963. In 1995, the quay collapsed by the Great Hanshin Awaji Earthquake which attacked this area, and the surrounding building also suffered serious damage. Nevertheless, Kobe Port Tower hardly received damage. The figure of the skillful white and red tower rose in the night sky on February 14, 1995, right after the earthquake disaster. 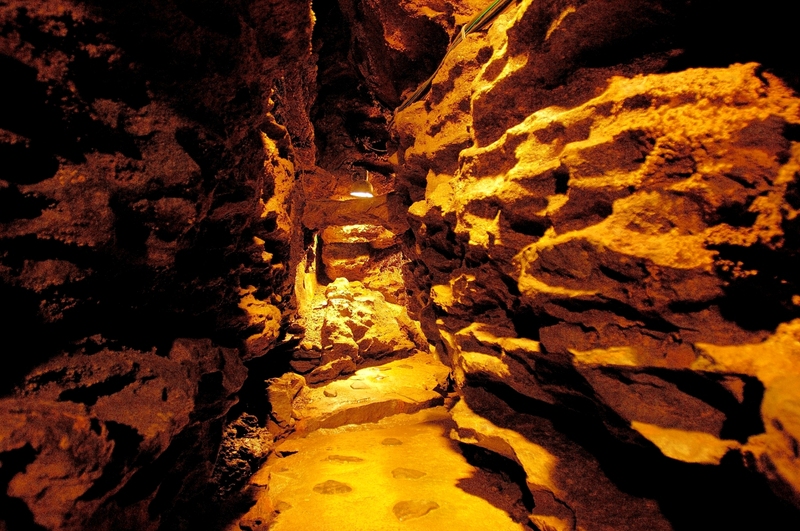 The lighting was resumed in the hope of that “the light of hope of the Kobe residents who take action on revival”. It is said that the very good feedback was brought from the citizen who was pleased with this re-lighting.